Hiya, I've been getting into this game for quite a while now. It's a tactical turn-based MMORPG developed by Ankama Games. As players, we get to control the environment around us, and by quite a lot as well. You may decide to either preserve or destroy your environment, in which both leads to two different ways of shaping your character. There's also the governmental system, in which players get to elect for the leader of their countries, which will in turn establish political powers and policies for all the citizens of their country. There are a total of 4 countries, 1 outcast clan (can't be called a nation cause they've got little to no lands to call as their own soil) and 1 independent country that serves as the borders between the 4 countries. Being an RPG game, it's got quite a lot of stuff to delve into as well, which I enjoy a lot as an RPG enthusiast. There are a total of 16 classes now, and you can build your characters in quite some ways as well. The only thing that would bug me a bit is the skill pool of each character, cause you will easily get to use all the skills that you'll be using for the rest of the game at an early stage, and have no opportunity to learn new unique skills that you have to complete certain unique quests to learn. There's a bit too much to explain for the game cause it's a pretty big world and I've only played for about two months at this point. 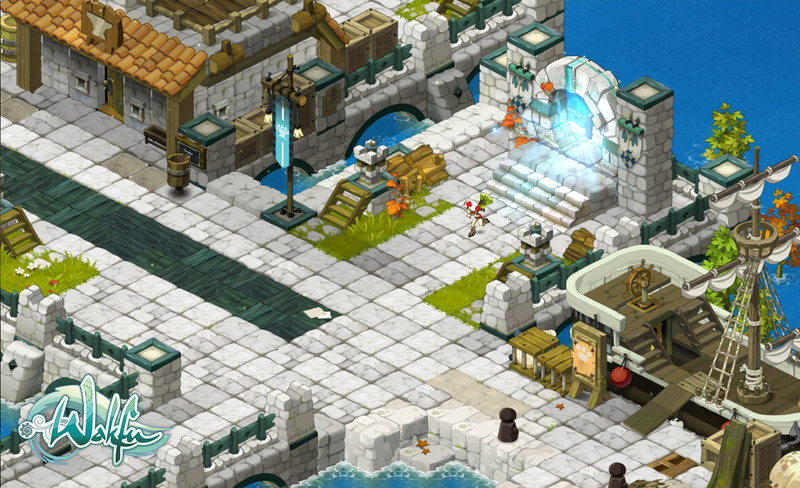 I'll have some of the screenshots of the game from the Wakfu website here. If you're in the game, do look for me by my name here, Japorized. You can look up for me on Steam as well, and again, by the same name.